In late 2011, the Bureau of Reclamation drastically lowered Banks Lake, the equalizing reservoir between Grand Coulee and Coulee City. It was along this stretch that the Construction railroad had been built. This time of low water allowed many sections of the old grade to be visible for the first time in years. 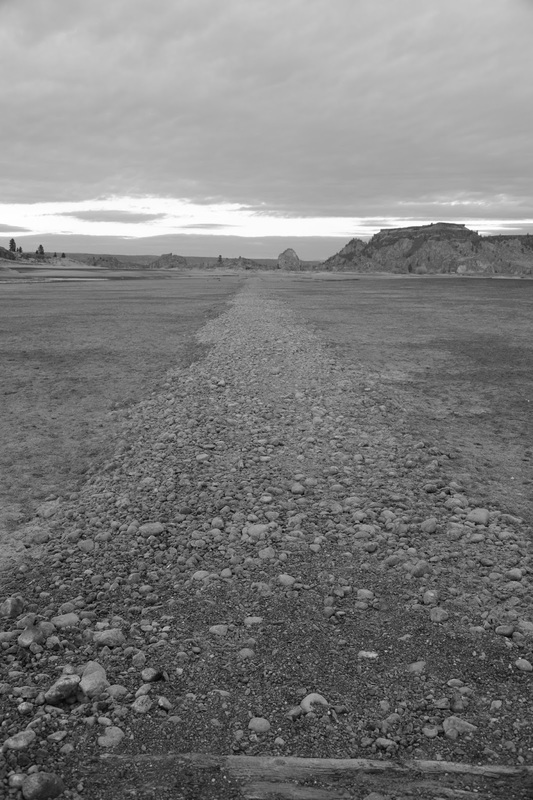 In this photo, looking approximately north with Steamboat Rock to the immediate left, there was a grade crossing with two remaining railroad ties; 60 years after the rails were pulled up. Normally there would be about 20 feet of water over the grade here.